Tired Eyes - Tired and red eyes can be caused by irritation, too much crying or simple tiredness. While ice bags or cucumber slices are a workable solution, tea bags get you the same results but are also warm and pleasant. Put them in hot water, allow them to cool a bit and then place them on the eyelids like a compress. Improving the taste of meat Meat - tastes great when properly cooked, but when not, it can become stale, hard and dry. Here is an effective solution to the problem: Use used tea bags to make a marinade that will restore its flavor. Soaking hard meat in black tea can also soften it again. Cleaning wood surfaces - Tea can be a great and gentle cleaning material for wood floors and surfaces. Wipe the wood surfaces or furniture with a clean cloth soaked in cool tea water, then use a clean and dry towel to prevent stains. Removing fat and dirt - The astringency of the tea will reduce the fatty buildup in pots and pans. Just soak the used tea bag in the container you wish to clean. Cleaning Rugs - Clean moldy and dirty rugs by spreading some used (dry) tea leaves on it. Leave them be for 10 minutes and then vacuum the rug. If these are delicate carpets, you can brush the tea leaves gently away. 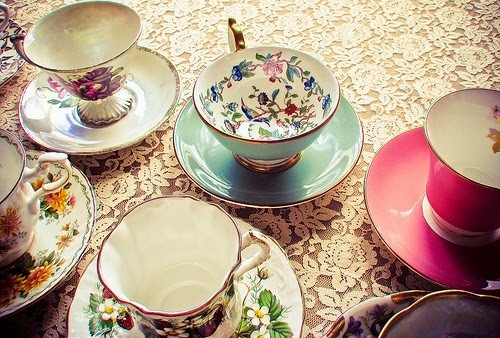 Cleaning fatty fingerprints from glass - Tea can remove those pesky fingerprints from glass, and make it shine. Just rub a moist tea bag on the glass surface, then use a spray bottle filled with tea water and wipe. Cleaning the toilet - Use tea to remove stubborn stains in the bottom of the toilet. Soak several bags of tea for several hours in the toilet water and then remove them gently and brush the sides. Getting rid of fish smell - To get rid of that overpowering smell of fish, wash your hands in tea water. Air freshener Bags - of tea can absorb those bad odors in the pantry, in your shoes or in your car. Put a few tea bags on a tray and put them in the closet, shoe or car. Let them absorb the odors. Getting rid of bad foot odor - If you suffer from stinky feet, soak them for 20 minutes in a tea bath. Use black tea for extreme cases. The stringency in the tea will close the sweat glands that give off the smell and will kill the bacteria. Removing warts and blisters - Soak a tea bag in water and put it on the blister for 20-30 minutes. Make sure to throw away the bag afterwards. Diminishing efates -. Get your mouth wounds to heal faster by gently biting a used tea bag. The healing powers of the tea will reduce the pain, the blood vessels and stop the bleeding. Treat acne - Many find that washing your face with a cool brew of green tea is an effective solution for acne. Avoiding fleas - To turn back fleas from your dog or cat, spread some dry and used tea leaves around the place they sleep. Softening and dying your hair - Washing your hair with a cup of tea can make it shiny and soft to the touch. However, if your hair is light colored, it may turn it darker, which is perfect if you want to dye it.